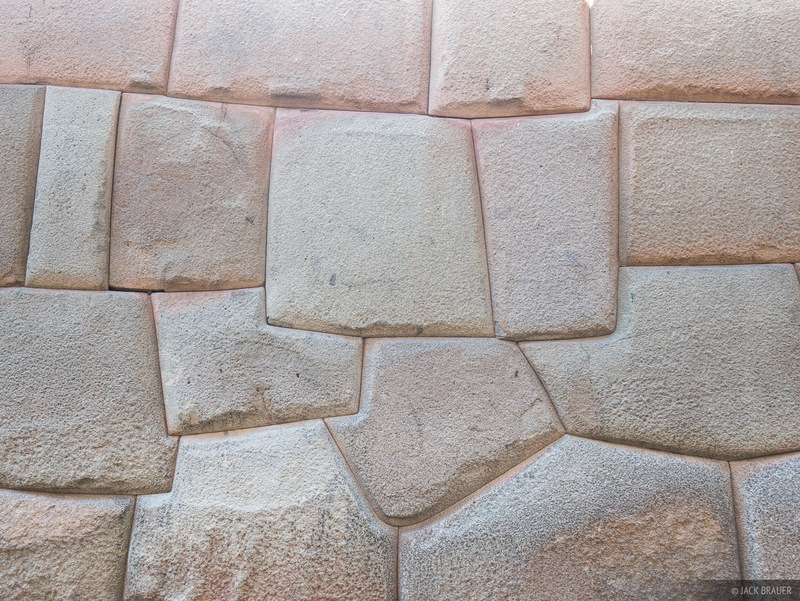 An example of the incredibly precise craftsmanship of Incan rockwork, as seen in Cusco. Huge granite stones are perfectly fitted together without any mortar. These walls are over 500 years old but still stand perfectly and form the foundation walls for many current buildings in Cusco.